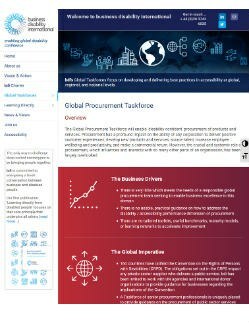 In this subsection, we provide links to resources that either (a) do not naturally fit into any of the other resource sub-categories; or (b) are currently under development and are not yet ready for general release. To begin, we provide a new resource on getting help from subject matter experts. 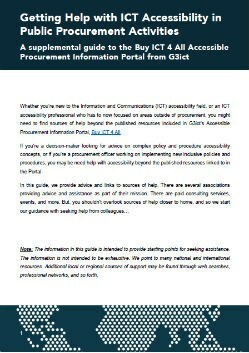 Next, we provide information on work being conducted in the UK to produce a new toolkit on accessible IT procurement.